Real estate solutions to meet changing office spaces. Mergers, consolidations, expansions and transformative technologies. There are so many new reasons for businesses to be rethinking their real estate strategies and operations. And while real estate is typically the second biggest cost for most organisations, if done right it can be one of their biggest savings. We have been partnering with organisations since 1993 to optimise their real estate, reduce costs and enhance workplace efficiency. We know your world, the market and all the major players. That means we can move quickly and strategically to put you in the right office space for your business. • Attract and retain top talent. • Aligning property outcomes with business strategy and objectives. Also see our Coworking Consultancy offer. Geoffrey founded Lpc in 1994 to provide conflict free advice to occupiers of commercial premises. He is widely respected for his ability to manage complex transactions. His focus now is on the strategic development of Lpc Cresa's capacity to continue helping its clients future-proof their property requirements. Gillian helps clients optimise their portfolios through transaction and lease management activities including lease negotiation, site acquisition, lease restructuring, premises consolidation and premises disposal. James is a Director of LPC Cresa in Perth and regarded as one of the most experienced and accomplished tenant advisors in practice. He has been providing leasing advice and consultancy services to tenants in Perth and across Western Australia since 1994. James previously spent time in property funds and commercial property management. David has more than 25 years’ experience in commercial property and has been a tenant advisor and Director of Lpc Cresa in Perth for eight years. He has represented corporate developers and participated in numerous residential, commercial and industrial property developments in the greater Perth metropolitan area. Scott has more than 20 years experience in corporate property in Perth and London. He has advised and acted for both landlords and tenants which gives him a deep understanding of the commercial realities of real estate transactions. This experience, coupled with his in-depth knowledge of the local market, allows him to consistently deliver outstanding results for his clients. Andrew manages Lpc Cresa's office in New Zealand. He has extensive experience in the management and operation of commercial and industrial buildings. Andy has strong project management skills and experience in critical environment construction and maintenance and the fit out, relocation and consolidation of commercial properties throughout New Zealand. Norman heads up Lpc Cresa’s Lease Management division. Prior to joining Lpc Cresa, he led large government accounts for leading real estate firms. Norman’s experience spans the entire property portfolio from account management to site acquisition and lease negotiation to financial analysis and providing national clients with strategic property advice. Mark Stott has over 20 years of experience in the property industry in Australia and the United Kingdom with roles varying from specialist valuation, asset management and tenant advisory. Since 2007, he has specialised in tenant representation and advising corporates and government bodies on a wide range of commercial property issues. Kris provides strategic property advice, transaction management and lease administration services to our clients. He has recently helped clients secure new office spaces, restructure leases and managed a co-location to new premises across a number of national markets. Edward provides a variety of transaction management and lease administration services to our clients. Most recently he secured a new office space and restructured commercial leases to better meet our client’s business requirements. Ed also provides critical support to our Business Development team. 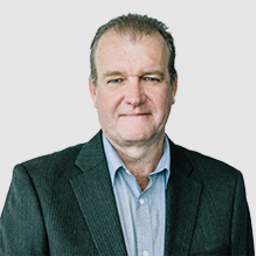 Peter Neunborn is a seasoned property and construction Project Manager and Director of Lpc Cresa in Perth. He specialises in client-side project management having successfully delivered projects from new building works, refurbishments, tenant fit-outs and land development within cost and time constraints. John is a Director of Lpc Cresa and has a long association with the business and the property industry through his management consultancy. 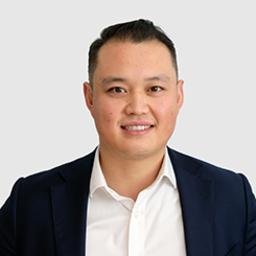 Today, John’s focus is on ensuring Lpc Cresa’s offering is closely aligned with the requirements of tenants and occupiers across Australia and New Zealand. Ian Potgieter is a tenant representative with a sincere passion to see his clients achieve the best results for their leases. Previous to joining Lpc Cresa, Ian performed as a research analyst for RPM Real Estate. In 2017, Ian graduated from the University of Melbourne with a Masters of Property. Ian's primary responsibilities at Lpc Cresa include Lease and Portfolio Management activities.